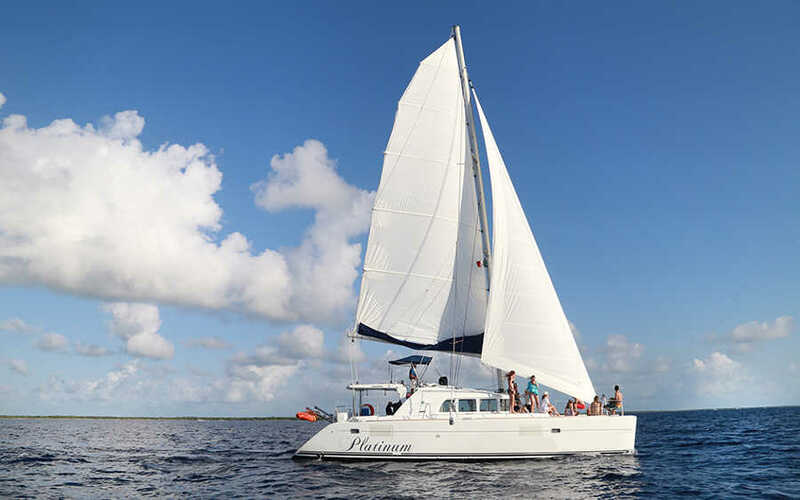 Escape the crowds and step aboard an all-inclusive 44-ft Catamaran, exclusively for your family and friends, sailing on the clear Caribbean waters of Cozumel, Mexico. With more than 40 years sailing the waters of Cozumel, our Captain and crew know the best snorkel spots and the most secluded beaches in the beautiful Mexican Caribbean! 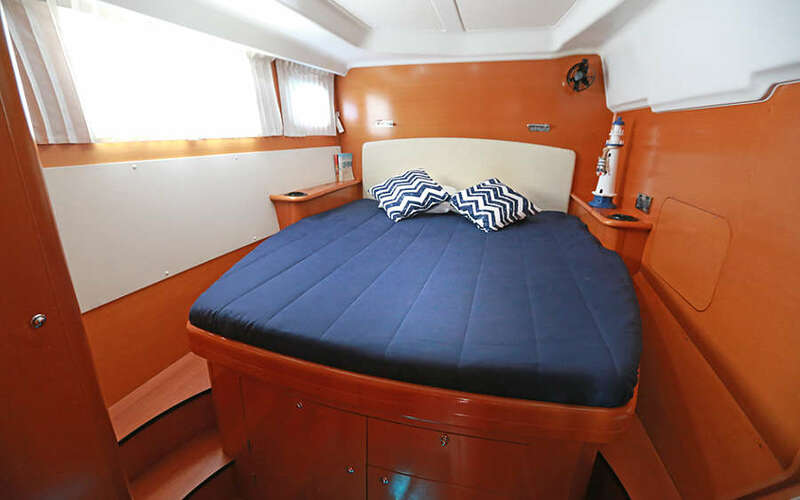 44 ft catamaran, 4 cabins/4 bathrooms, air conditioning. Immerse yourself in the rich culture of Mexico on a full-day combo tour of Cozumel’s popular and picturesque Discover Mexico Park. Sample the sweet spirit of tequila; create delicious chocolate during an interactive workshop; admire the arts and crafts of the region; and try your hand a making a classic margarita. Learn about Mexico’s captivating culture from a knowledgeable guide, see replicas of Mexico’s most significant structures as and enjoy a complimentary lunch of tantalizing tacos on this cultural excursion. 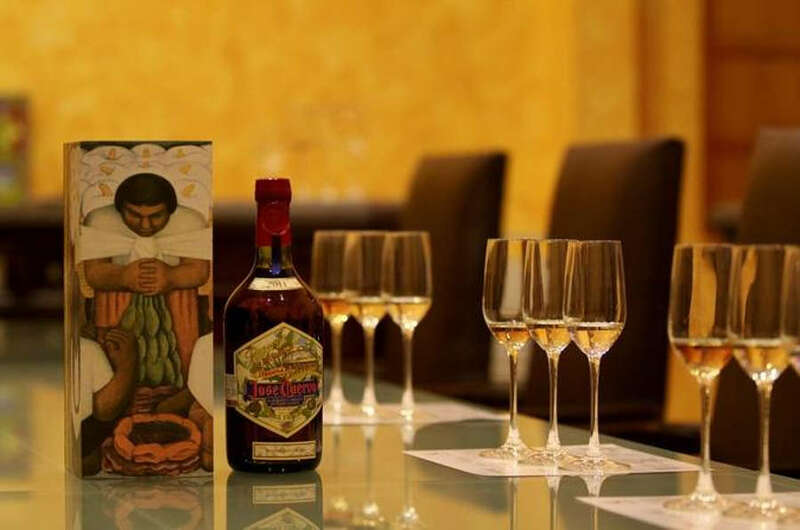 Perfect for the whole family: Discover Mexico and a chocolate workshop for the kids, plus tequila tasting for the parents! 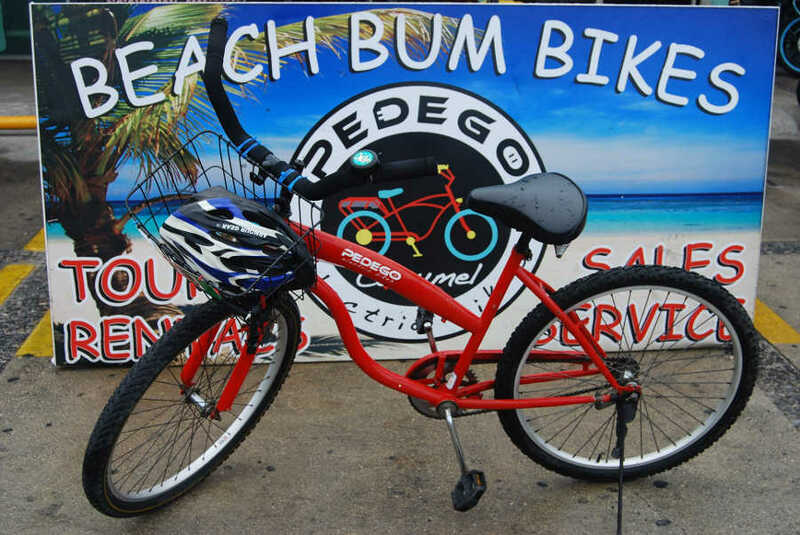 Beach Bum Cozumel features Electric Bicycle Tours where pedaling is optional & fun is required! 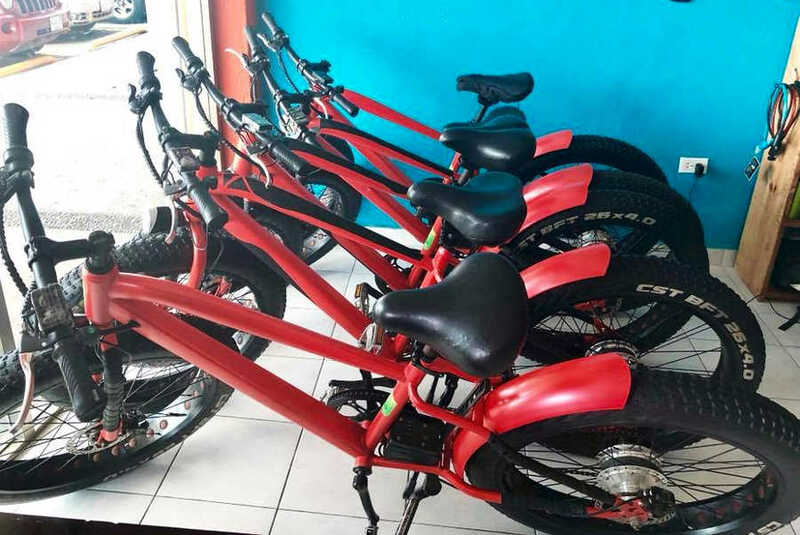 Take a guided tour on a state-of-the-art Pedego Electric Bicycle in some of the most beautiful unspoiled places on earth. 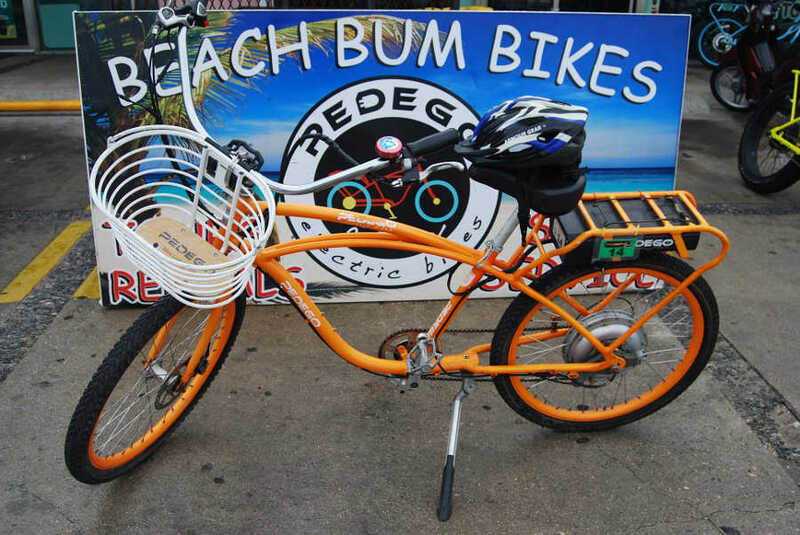 Beach Bum also provides Bike & Gear Rentals, Diving & Snorkeling Packages, Private Dining and Charters. 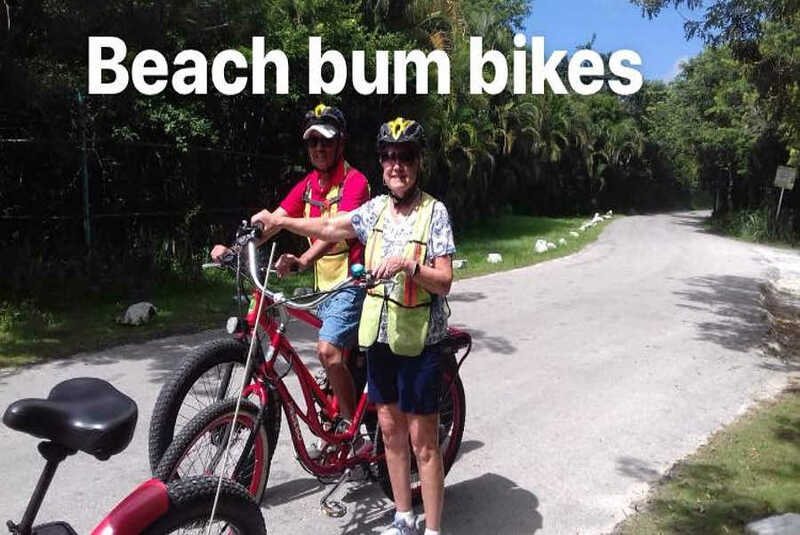 Kick your vacation into high gear with Beach Bum Cozumel! Race in a Caribbean paradise off the coast of the Yucatan Peninsula. A world-class triathlon center, Cozumel has hosted Ironman events since 2009. 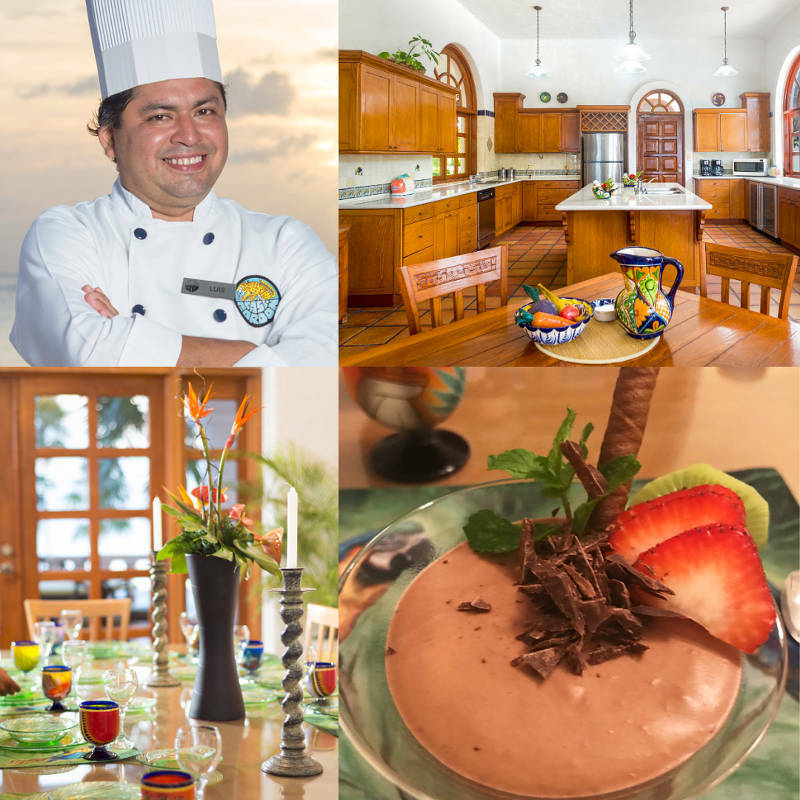 Chef Luis brings fine dining to new heights at Casa Gordon. His food is a constant homage to great ingredients, with a fresh, innovative style. His attention to detail is unrivaled, creating an exceptional dining experience for our guests. His experience runs deep, having studied Gastronomy at the Universidad de Quintana Roo, and is accredited in the Art of Confectionery from the acclaimed Benoit Gaillot École de Patisserie. Additionally, he holds certifications in Ice Carving from the Asociación de Hoteles de Quintana Roo, A.C., and Cocktail Innovation from Destiladora Ibarra, S.A. de C.V., Ciudad de México. He is a member of the World Association of Chefs' Societies, and the Asociación Culinaria de México. Chef Luis is married to Gina Maritza Canto López and has two sons Victor and Gerardo. He was born in Suma de Hidalgo, Yucatán México, and has lived on the island of Cozumel for 26 years. Besides having a passion for cooking, his hobby is riding his BMX bicycle, or what they call a "chopper bicycle". This house was built in 1945 to accommodate a new family, when the young owner married a beautiful girl from Cozumel. Today, Sal De Mar is a restaurant with a modern design, that preserves rustic touches of the old Cozumel architecture, showcases a beautiful garden typical of the island, provides a warm and pleasant ambience, but most of all, creates food that delights the palate. The food is Mediterranean style, using mainly local fresh products, fusing Mexican and Asian ingredients. Sal De Mar seeks to enhance the authentic flavors of food, guiding your imagination to the most exquisite tastes possible. Swim with the world's largest fish and cross it off your bucket list. After this experience you'll never look at life the same way again. This incredible tour is available for a short season only, while whale sharks are around the tip of the Yucatan peninsula about 70 miles (110km) from Cozumel. 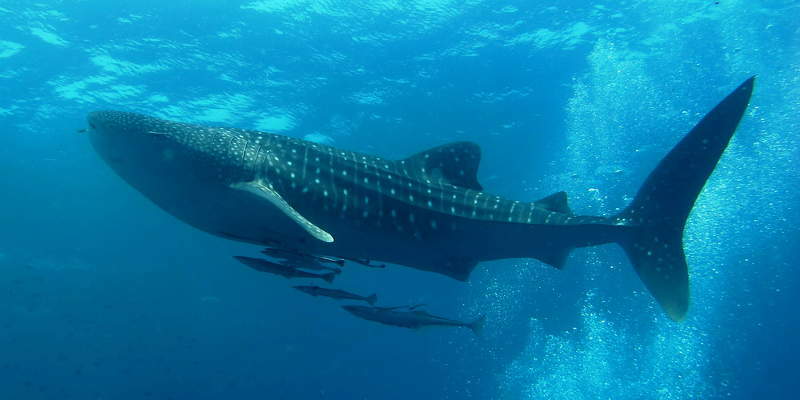 This year's whale shark season is expected to run from May 17 to September 17, 2018. The sandy white beach and turquoise waters of Casa Gordon are the perfect backdrop for your destination wedding. The experienced professionals at Cozumel Wedding Planner can help your dreams come true. If you've ever imagined getting married in a tropical paradise, with the sun setting behind you... you've come to the right place! Cozumel's original giant margaritas with a variety of fresh flavors. Awesome food, live music nightly and the friendliest staff around! Since 2007, making traditional Mexican chocolates in a small factory that includes a chocolate museum. 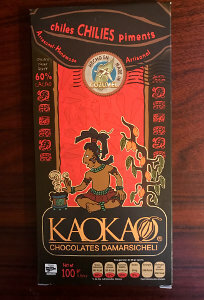 Come by for a chocolate tasting or take a factory tour where you can make your own Mayan Chocolate from scratch! Tours run Monday - Saturday at 9 AM, 11 AM, 1 PM, and last 90 minutes. American Owned and Operated since 1995. Lisa Ramirez, also a co-founder of the Cozumel Humane Society, has been serving delicious hearty meals to tourists and locals for 17+ years. Family Restaurant featuring burgers, salads, sandwiches, pastas, tex-mex cuisine, thick milkshakes, gourmet coffees, and the best selection on pies, cakes and pastries in the Caribbean. 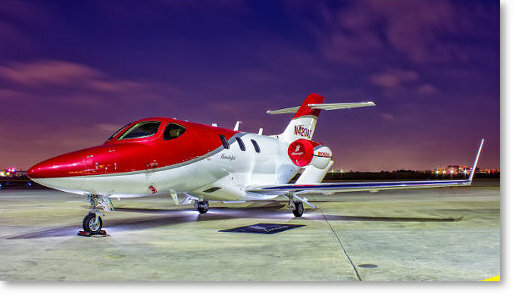 Travel to Cozumel on your private jet charter in style and luxury. Let Cutter Aviation help you make memories that last a lifetime. In business since 1928, Cutter Aviation is a leading provider of award winning aviation services. The best authentic Mexican Cuisine on Cozumel! A favorite of locals, crew members and island visitors alike since 1989. The oldest Restaurant in Cozumel, serving since 1945. Enjoy their superb Mexican, Seafood and Yucatan style recipes. Open every day 8:00 AM - 10:00 PM. Calle 1 No. 132, Centro, 77600 San Miguel de Cozumel, Q.R. Since 1982, LA MISSION has been known for its fresh seafood and its excellent Mexican cuisine, the hospitality, the quality of its employees, and for the slogan "SI NO TE GUSTA, NO PAGAS" (If you don’t like it, you don’t pay). Casual restaurant and bar that offers a variety of international dishes, drinks, and specializes in entertainment. International restaurant chain, featuring a casual beach-theme atmosphere. Live sports, full bar, boutique and the famous Hooters Girls. Menu features Hamburgers, Seafood, Sandwiches, Salads, and Hooters Nearly World Famous Chicken Wings. Located on Private San Juan Beach on the northern shore of Cozumel, Buccano's at Night is an exquisite dining experience. Enjoy bold flavors of seafood and Mexican contemporary dishes. The amazing panoramic view of the ocean with beautiful sunsets has made this a favorite with locals looking for a high end atmosphere. Rated high on Trip Advisor for Mexican, Mediterranean, and Fusion food served in a lovely tropical garden with superb lighting. The garden is ideal for romantic dining, and also has room for large groups. On your next trip to Cozumel, enjoy upscale Mediterranean Cuisine along with menu choices that satisfy a broad range of tastes. Delicious tapas, pizzas, pastas, steak and by the sea entrees offered along with desserts. Located north of the main square on Calle 8, two blocks inland from the waterfront and the Los Cinco Soles store on the corner. The wood building, painted a yellow green, is on the right side, just past 10 av. This nautical style restaurant has a relaxed romantic atmosphere and tall windows with an exceptional view of the waterfront and sunsets. If you're in the mood for prime rib and a salad bar, this place fits the bill. Also, look for Caribbean seafood dishes such as lobster, shrimp flambe, shellfish grill and steaks. After discovering treasures at Los Cinco Soles, take a shopping break and find the hidden garden with a pretty colonial setting. The water cascades and marimba music floating in the air will simply soothe the soul. The nouvelle Mexican food is superb and the margaritas are awesome! It's a perfect lunchtime retreat...don't miss it! This lovely restaurant is still run by the founding family. 22 years of dedication shows in a selection of Italian cooking with an exquisite mix of local ingredients and fresh seafood. The thin crust pizza from the wood-fired oven is outstanding. Guido's is a comfortable yet elegant restaurant with an open air courtyard garden. It truly deserves special recognition...just ask the locals. Waterfront between 6th and 8th Street North. Albatros is available for private sport fishing charters in Cozumel, Mexico. They supply all the necessary fishing gear, the lures and the bait. They want to make your trip to the island memorable and convenient. That's why all you have to do is just come aboard and enjoy the charter! They currently use Fin-Nor and Penn International Reels and Rods. Or if you prefer you can bring your own gear. All their trips include purified water, soft drinks, Mexican beers and snacks. On full day trips they provide a light lunch on the boat as well. Also, for your convenience they pick you up and leave you at your hotel dock. At Albatros Charters they try their best to make your trips to this Mexico island as safe and enjoyable as possible. Sport fishing in the Cozumel area is primarily done with trolling where they use outriggers and down riggers and have a minimum of 6 lines in the water. Depending on the season you can expect to catch sailfish, blue and white marlin (these are catch and release only), wahoo, grouper, snapper, dorado (dolphin, mahi-mahi) and barracuda just to name a few. During the high season (March through July) you can expect to catch Blue Marlin, White Marlin, Sailfish, Dolphin and Tuna. Year round, expect to catch Wahoo, Grouper, Barracuda, Mackerel, Amberjack and Snapper. Atlantis Submarine Excursions are a once in a lifetime opportunity to experience why Cozumel is one of the top dive destinations in the world. 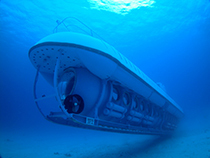 Diving to depths of up to 100 feet, this battery-powered submarine offers 48 people spacious air-conditioned surroundings with large viewing ports. As you submerge, the marine life and coral formation that you will see are spectacular. Bring your camera because you never know what will swim by! 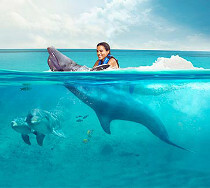 Experience the emotion while swimming or diving with the ocean's most intelligent animal, the dolphin. Swim program includes a one hour program (30 minutes of water time) that allows participants to perform various activities with the dolphins including the footpush, the dorsal tow, dolphin kiss and freetime. 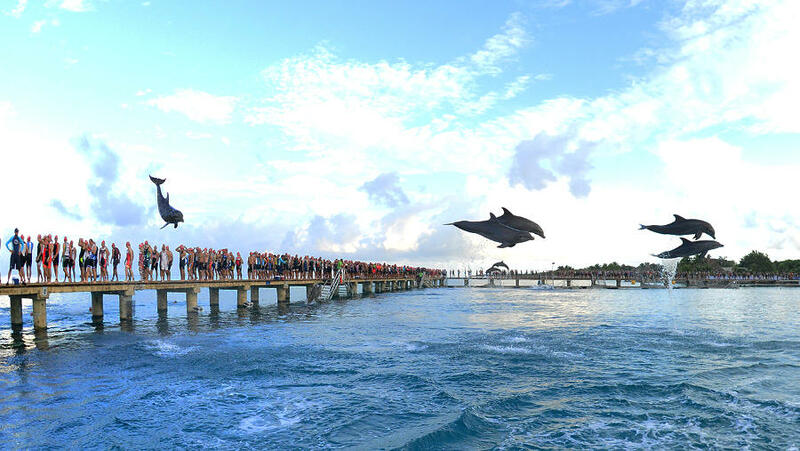 Encounter program is a 45 minute program (30 minutes of water time) where visitors will enjoy the dolphin hug, dolphin kiss and watching them perform. Dive program allows divers a one tank dive to enjoy activities including a submerged dolphin hug, dolphin kiss, and viewing various jumps from underwater. 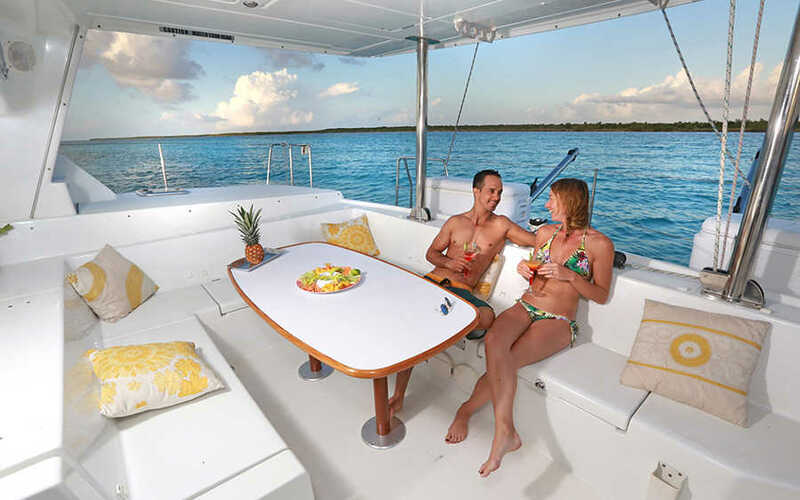 Cozumel's finest snorkel adventure is aboard a 65 foot catamaran with shaded deck, comfortable seats, spacious sundecks, fresh water showers and rest rooms. The friendly crew offers a guided reef tour with professional instructions. Fury trip includes catamaran sailing, snorkel equipment, kayaks, volleyball and beach floats. FREE beer, margaritas & sodas. 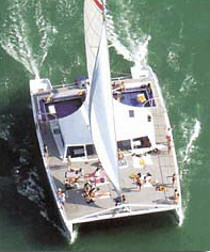 Experience the open ocean and blue waters sailing on the Caribbean Sea in your own private sailboat. 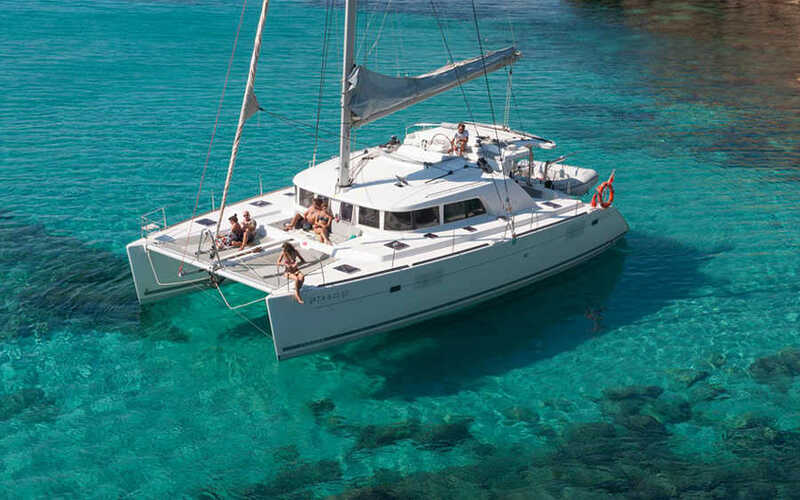 If you have ever wanted the opportunity to sail safely and privately in the beautiful blue island waters of Cozumel, Mexico, now is your chance. 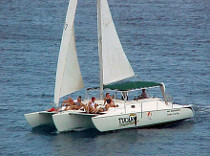 Rent sailboats bareboat (no captain) or crewed (with captain) for an additional fee. Either way, you are in charge and can sail wherever you like. No certification is required, but you will need to be capable of handling the sailboat. Enjoy a round of golf on a full 18 hole golf course designed by the Nicklaus Design Group. This masterpiece is designed around the natural habitats of the island. 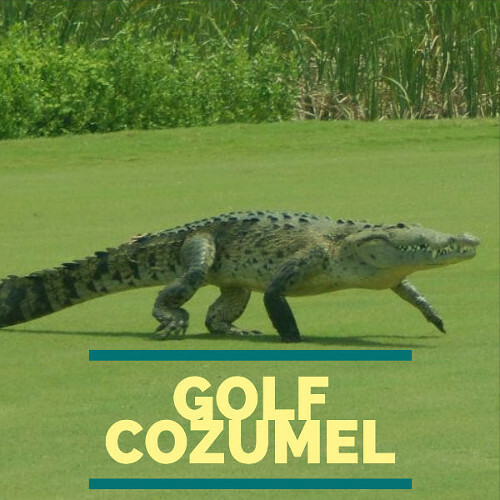 It's a unique golfing experience because the golf course is woven through the Mayan jungles and natural mangroves. Guests at member hotels get discounted rates and you may reserve 3 days in advance. Across from the El Cozumeleno Hotel.